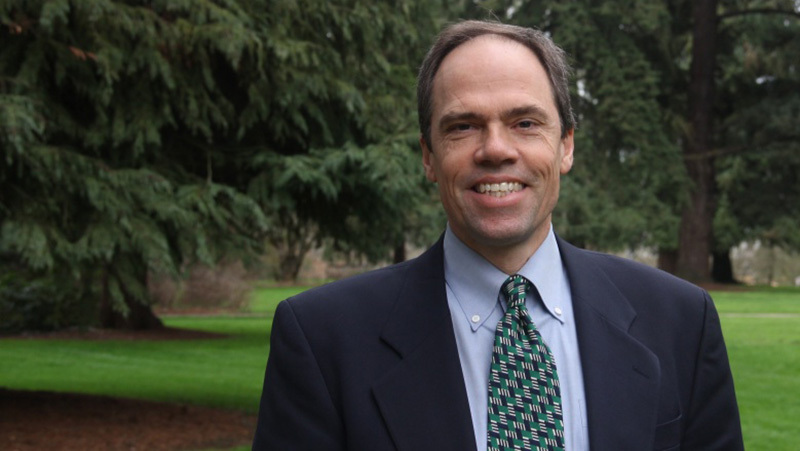 New work by UO economics professor Bruce Blonigen is drawing attention in light of a proposed mega merger between telecommunications giants AT&T and Time Warner. The new study confirms what many consumers already suspected, that large mergers often hurt consumers by pushing up prices. The paper, co-authored with Federal Reserve economist Justin Pierce, challenges the corporate view that mergers reduce prices by increasing the efficiency of the merged companies. An article on the website Politico notes that corporations regularly dispute the idea that mergers result in higher prices. The study by Blonigen and Pierce is the first to provide a detailed, broad-based analysis of merger effects and the notion that they boost efficiency. Blonigen also discussed the research in an interview on Bloomberg TV for the segment “Bloomberg Markets.” Blonigen said that using new techniques they were able to analyze merger effects for all U.S. manufacturing over a 10-year period, providing the broadest look ever at how mergers affect prices. “We keep coming up with the same answer, which is that we don’t find much evidence for efficiency effects … but we do find market power effects,” he said. For the full stories, see “Is the AT&T-Time Warner merger a good idea?” on Politico and “The Effects of M&A on Efficiency and Markup Power” on Bloomberg.com.